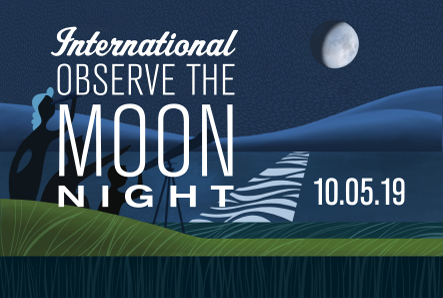 Not too long after the planets began forming, a Mars-sized object slammed into Earth, creating the debris that would coalesce into the moon. But some of the debris escaped all the way out to the asteroid belt. Collisions there left shock-heating signatures that can still be detected billions of years later in meteorites that have fallen to Earth. Planetary scientists have found that a significant number of these altered meteorites have ages clustering at 105 million years after the solar system’s birth—the true age of the moon-forming impact, they say. The result is an independent check on different estimates for the moon’s age, and it suggests that the asteroid belt could be witness to other ancient disruptions in the inner solar system. 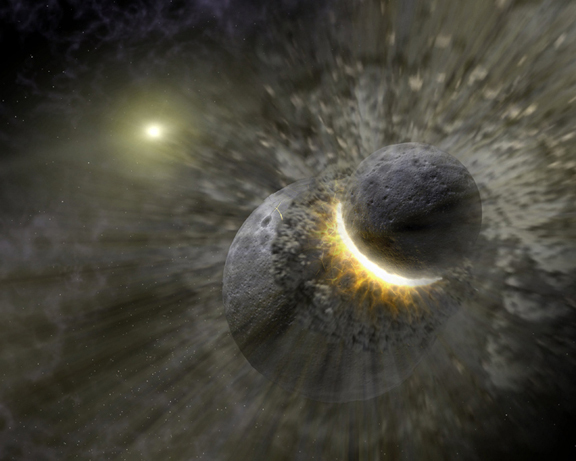 The inner Solar System’s biggest known collision was the Moon-forming giant impact between a large protoplanet and the proto-Earth. Kilometer-sized fragments from this impact hit main belt asteroids at much higher velocities than typical main belt collisions, heating the surface and leaving behind a permanent record of the impact event. A team of NASA funded researchers modeled the evolution of giant impact debris and analyzed ancient impact heat signatures in stony meteorites to conclude that pieces of the Giant Impact did indeed strike the asteroid belt. The team’s work appears in the April 2015 issue of the journal Science. Here a Mars-sized protoplanet strikes the proto-Earth at a 45 degree angle near the mutual escape velocity of both worlds. The “red” particles were found to escape the Earth-Moon system. Some of this debris may eventually go on to strike other solar system bodies like large main belt asteroids. 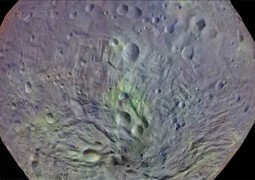 “Yellow–green” particles go into the disk that makes the Moon. “Blue” particles were accreted by the proto-Earth. The details of this simulation can be found in Canup, R.: Simulations of a late lunar-forming impact, Icarus 168, 433–456, 2004. Credit: Robin Canup/Southwest Research Institute. The team was led by Principal Investigator Bill Bottke, of the Institute for the Science of Exploring Targets (ISET) team at the Southwest Research Institute (SwRI), a U.S. team member of NASA’s Solar System Exploration Research Virtual Institute (SSERVI), which fosters research on Solar System science and exploration at NASA’s Ames Research Center in Moffett Field, California. 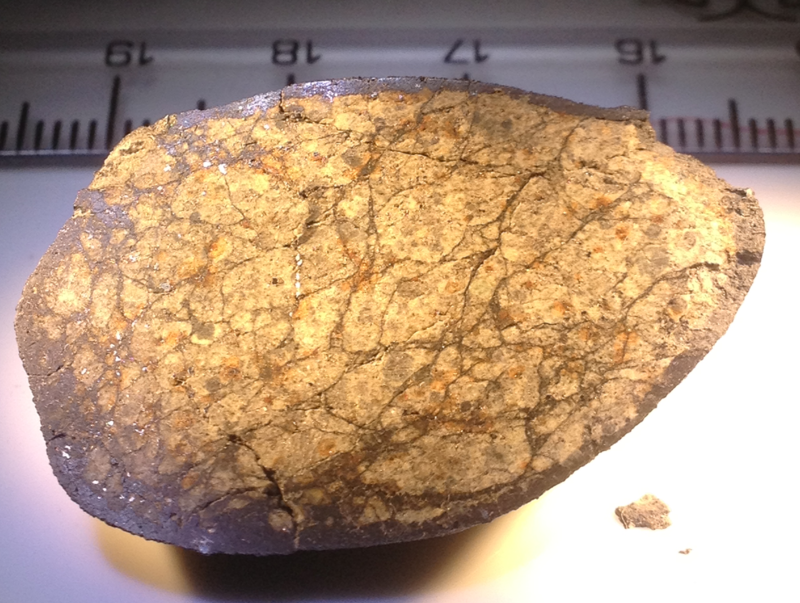 This Chelyabinsk meteorite specimen shows a highly developed network of thin impact melt veins (dark lines) and impact melt pockets (dark blobs). The dark material around the outside of the meteorite is not impact melt, but fusion crust created during atmospheric entry; the presence of fusion crust indicates this stone broke away from the main mass during entry. Shiny metallic grains are readily visible. Image credit: Qingzhu Yin, Univ. California-Davis. SSERVI is funded by the Science Mission Directorate and Human Exploration and Operations Mission Directorate at NASA Headquarters to enable cross-team and interdisciplinary research that pushes forward the boundaries of science and exploration.